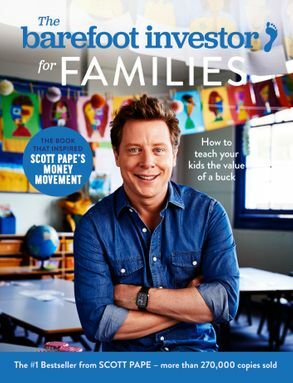 Scott Pape is the founder of the Barefoot Investor, and author of the bestseller The Barefoot Investor: The Only Money Guide You'll Ever Need. For well over a decade Scott has reached millions of Australians through his national weekend newspaper columns, appearances on TV and radio and his bestselling books. He teaches people from all walk of life how to become financially independent. In 2010 independent research firm CoreData found that: Scott Pape is considered the most knowledgeable regarding financial matters, topping the ratings in the areas of superannuation, investment, taxation, insurance and economics. Pape is also considered the most trustworthy, truthful in how he presents himself and in touch with financial matters that affect everyday Australians. In 2014 Scott was chosen to assist with the government's national financial literacy in schools program. The Barefoot Blueprint has grown to become one of Australia's largest independent wealth-building communities. Scott lives on a farm in country Victoria with his wife Liz, their three kids and two dogs and is often seen belting around in an old ute that doesn't need to be locked.